School-district boundaries are an important consideration for most homebuyers — so important, in fact, that 54 percent of people who plan to buy a home within the next two years said they would be willing to pay from 1 to 20 percent over their budget to purchase in a desirable school district. In a recent survey by Realtor.com, 24 percent of future homebuyers said they would pay 1 to 5 percent above their budget for a home in the school district of their choice. Another 21 percent said they would pay 6 to 10 percent above budget, while 9 percent would shell out 11 to 20 percent above budget. Most buyers said they would be willing to live without a variety of home and neighborhood amenities in order to be close to the right schools. For instance, 62 percent would do without a pool, 51 percent would forego easy access to shopping, 44 percent would give up a bonus room, and 42 percent would consent to live farther from parks and trails. 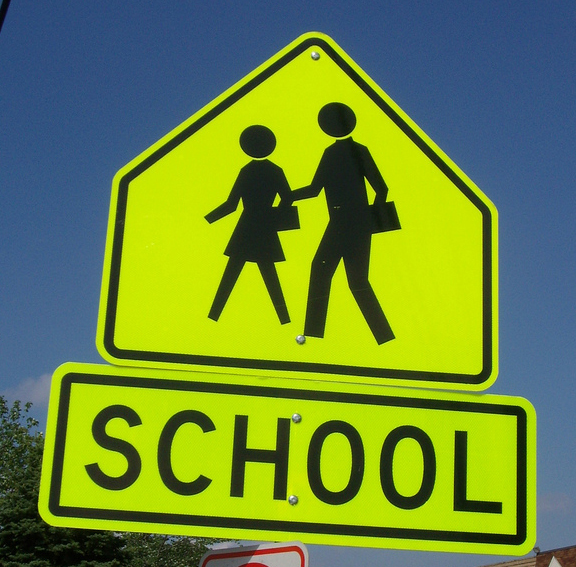 Also, 17 percent of buyers said they want to live within a mile of school so their children could walk to class. Schools have long been an important part of the homebuying decision-making process in the Bay Area. Our region has some of the highest-rated schools in California, and it’s not uncommon for area homebuyers to walk away from otherwise outstanding properties because they fall outside of a preferred school or district boundary. Recently, we reported on a San Francisco Chronicle article that found Peninsula buyers regularly pay more than $200,000 extra for homes in neighborhoods with high-performing schools. Homebuyers looking in San Francisco should also read our blog post from earlier this year that explains the San Francisco Unified School District’s notoriously complex enrollment lottery, which doesn’t guarantee students a spot at their neighborhood school.